Summer Glau to be guest on "Castle"
It'll be the greatest episode ever! Loved seeing your post WHOZIT. Summer Glau is set to guest star opposite her former “Firefly” co-star Nathan Fillion, TVLine reports. Glau will show up in episode 14, playing private detective Kendall Frost who competes against Castle in solving a mystery. ...and then kills him with her brain. I read the link you posted, I'd love to see a spinoff with Summer. It's possible this may be the last season for "Castle". I'm sure they've been thinking of spin-offs for a while now. I thought the show was heading in a different direction when Rick bought the bar, but they never did much with that idea. Then he became a PI, and now Haley is a sometimes partner/colleague, or they could have him work more with Adam Baldwin's Slaughter. Plus Alexis is proving to be as smart as her Dad, if not more so, she could be part of a spin-off, maybe as an assistant to Haley or Summer's character. Almost any of those would be preferable to how they've been handling Caskett lately. 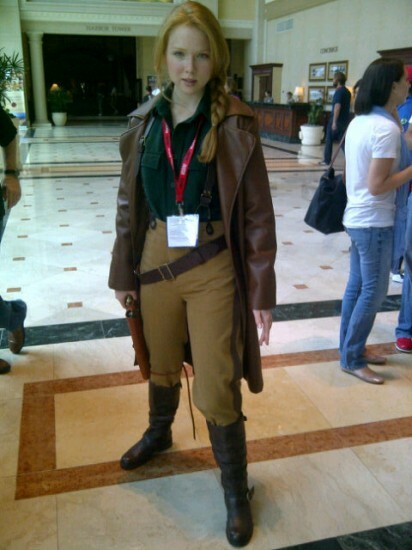 And speaking of spin-offs, how about Molly Quinn in "Firefly: The Next Generation"? I enjoyed watching this episode, and the two of them opposing in scenes. Much of their interplay left me whimsical, but I couldn't point out exact FF references.